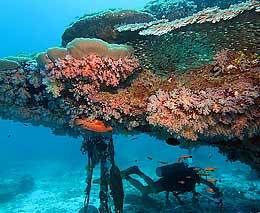 Thailand has two dozen official Marine Natural Parks throughout the Andaman Sea, and a number of distinct dive areas, the pinnacle of which – Richelieu Rock – is well-known as one of the best dive sites in the world. 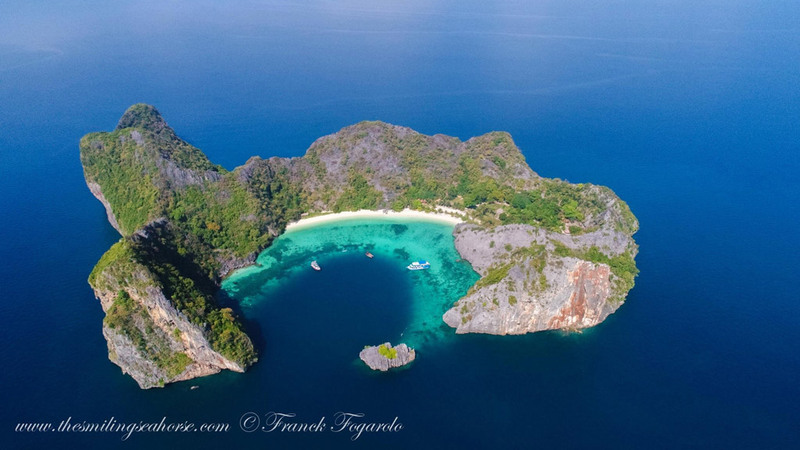 The Rock is in the Surin Islands MNP, in the northern Andaman Sea, north of the well-known Similan Islands MNP, and south of another great dive area – the Mergui Archipelago – within Myanmar’s waters, but accessed by Thailand liveaboards. South of Phuket, in the southern Andaman Sea there are groups of dive sites around Koh Phi Phi and Ko Lanta, accessible both from resorts and liveaboards. 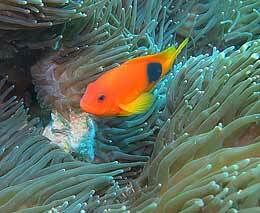 Within the Bay of Thailand, Ko Samui, Ko Pha Ngan and Ko Tao provide some excellent diving. 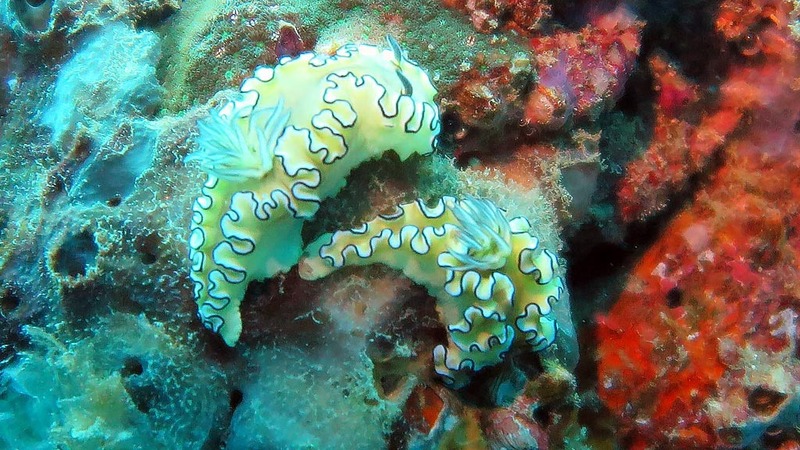 Most important to note when planning a dive trip to Thailand is that there are two distinct seasons. 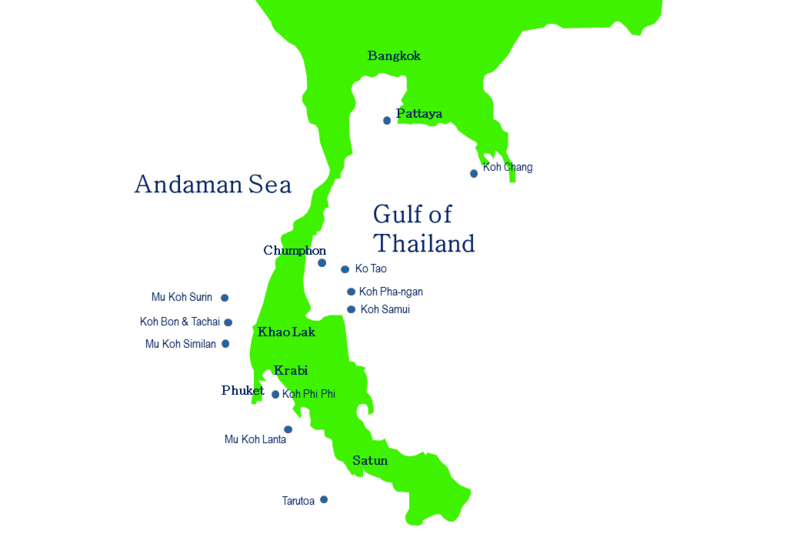 In the Andaman Sea, the dry season is from November to April, and the southwest monsoon season is from May to October, when many of the offshore marine parks are closed for the safety of visitors. In the Gulf of Thailand the most rain falls between September and December, making November and December, the least desirable times to be diving. As most of the diving in Thailand takes place in Southern Thailand, the best place to arrive is Phuket – which has an international airport. 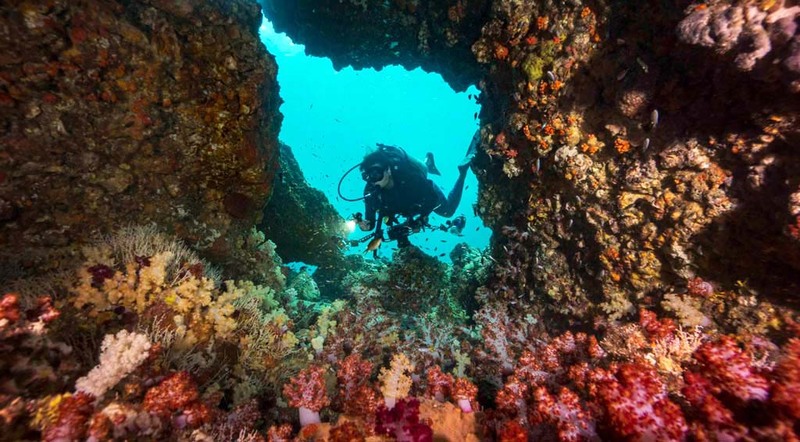 There are three different ports that are relevant to diving Thailand: Ranong which is about 3 hours’ drive north of Phuket Airport, Khao Lak, about 1½ hours north of Phuket airport, and Chalong Pier in Phuket itself. 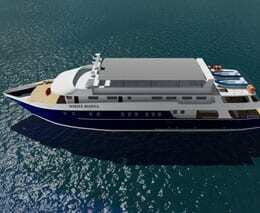 Depending on their itinerary, some of the liveaboards alternate between ports for embarkation and disembarkation – though that’s not an issue as a hotel or airport transfer is usually part of the package. Divers choose a diving holiday in Thailand for the same reason as regular holiday makers: Thais are very friendly and customer service oriented, everything is reasonably priced, in addition to what you came for, there’s some culture and other activities – and the food is fantastic. 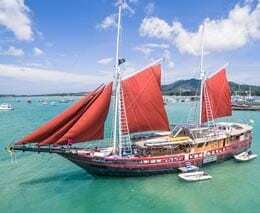 So you shouldn’t go looking for a luxury liveaboard in Thailand, but you can expect everything to be clean, comfortable and work. 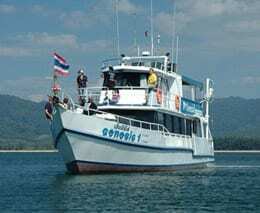 Here are the liveaboards in Thailand that have been delivering consistently good service. There are marine national parks all the way down the west coast of southern Thailand from Surin which is close to the Myanmar border, down to Tarutoa in the tropic zone, close to the Malay border. 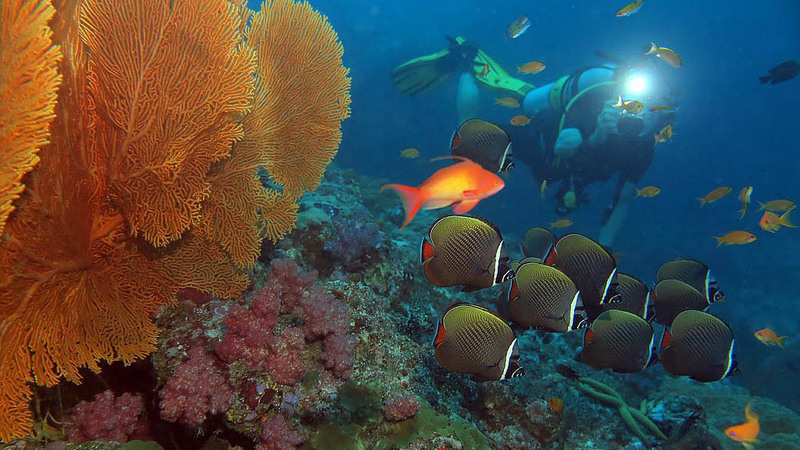 Note that the diving season for the Andaman Sea is November through to May, as during May the Southwest Monsoon starts bringing rain and the seas become unpredictable. During this time, the non-coastal parks are closed to visitors. 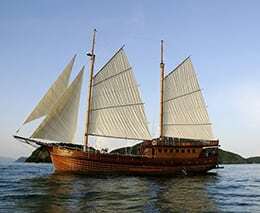 These include Surin, Similan, and Mu Koh Lanta. The rainfall varies along the coast, but is it somewhere between 2 and 4000mm (yes! 4 metres) in those six months May to October. Surin National park boasts Thailand’s most world renowned dive site – the only one I know with its own website: Richelieu Rock. It’s famous for a reason: a horseshoe shaped collection of racks and boulders on and around which you will find both a great abundance and diversity of marine life. Though an encounter with a Whale Shark used to be common at Richelieu Rock, it’s a rarer event nowadays. 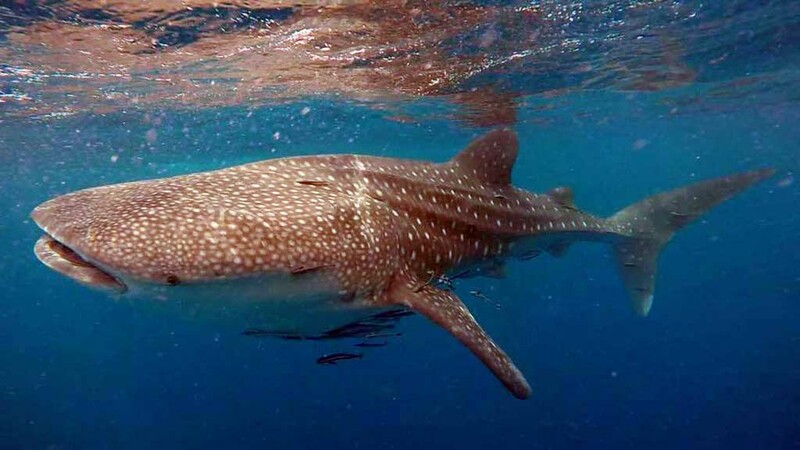 Still, the best chance of an encounter with a whale shark is during March and April. 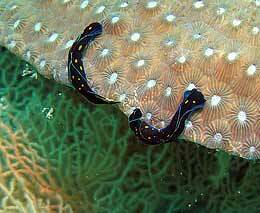 Note that although Richelieu Rock is actually part of the Surin National Park, but is usually included on the Similan liveaboard dive trips because it has the best diving in the area. The Similan National Park incorporates nine islands, usually numbered #1 to #9. 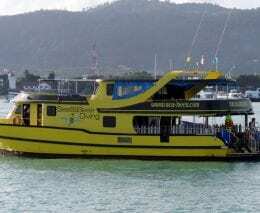 Also close by are Koh Bon and Koh Tachai – both usually included on any trip to ‘The Similans’. The Similans are founded on granite rock, and predominantly to the west – facing the open sea are huge granite boulders standing tall and mighty on a sandy sea bed. To the east, the islands are more sloping and covered in hard corals. 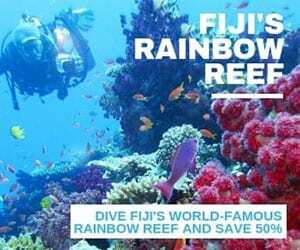 Each island is different and offers different dive sites, from sandy bays to hard coral gardens, and gigantic granite boulders to rocky subaquatic adventure playgrounds. 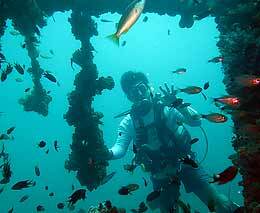 The area centred on Koh Phi Phi to the east of Phuket, and south of Krabi contains a number of dive sites. The best known site between Phuket and Koh Phi Phi is Koh Dok Mai (Flower Rock); others close by include: King Cruiser Wreck, Anemone Reef, and Shark Point. Koh Young and Koh Mai are also in this area. There are a dozen or so sites around Koh Phi Phi, the best known are probably Koh Bida Nok – an island in the south of Phi Phi group, and Maya Point – close to Maya Beach on Koh Phi Phi Leh – the beach made famous by the movie ‘The Beach’ starring Leonardo DiCaprio. Heading south, Mu Koh Lanta National Marine Park is the next marine National Park. Extending about 30km west to 30km south of Koh Lanta, it boasts a large number of uninhabited islands considered great dive sites. Koh Ha, (Five Islands) are tiny islets located 25 km west of Koh Lanta Island. The channels that separate the islands are over 50 metres deep and the water is usually clear in season. 25km south of Koh Ha is Koh Rok, which are twin islands known as Koh Rok Nai and Koh Rok Nok and are separated by a thin 15 metre deep channel. 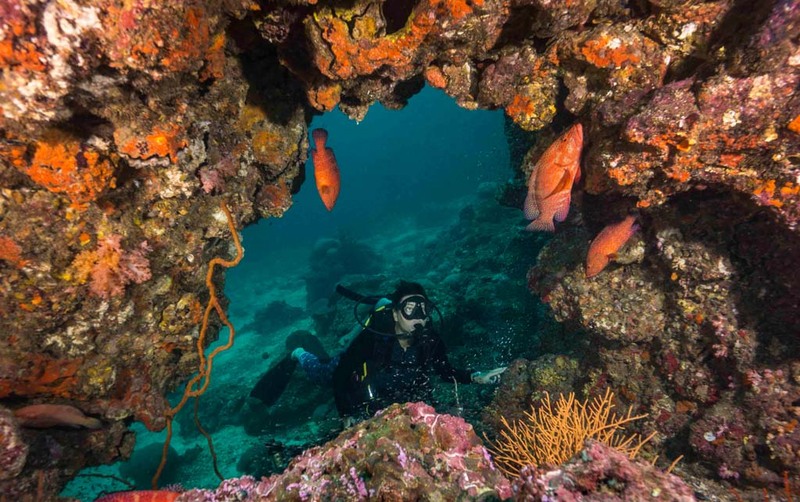 The two southernmost dive sites of Mu Koh Lanta are considered the best outside of the Similans: Hin Daeng (Red Rock) is a submerged boulder pinnacle where, looking at the bare rocks above water, you would have no idea that it is such a beautiful dive site below water. Healthy soft corals in various shades of red are all around here and plenty of small scale action goes on. One of the most impressive sights is that of a silver wall of trevally cruising past. 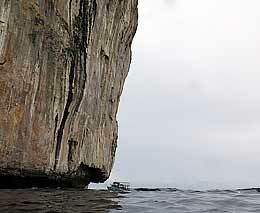 Show more and Hin Muang (Purple Rock) is Thailand’s highest vertical submerged wall. Hat Chao Mai National Park, accessed mainly from Pak Meng includes Koh Mo(o)k, Koh Kraden, Koh Wean and Hin Nok with a number of established dive sites, is a place for macro enthusiasts. Mu Koh Phetra National Park – an archipelago of about 30 islands within the southern part of Trang Province and northern part of Satun Province and the beginning of the tropic zone. As such it enjoys both the Southwest Monsoon from April to October, as well as the lesser Northeast Monsoon from November to March. This is an as yet largely unexplored area from a subaquatic perspective. 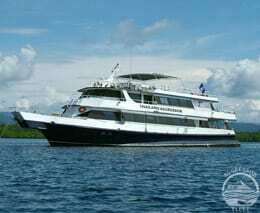 Further south yet, Tarutao National Marine Park, also in the tropic zone, is on the border with Malaysia; the region near Koh Lipe has, apparently, a massive number of different marine species, but is accessible only via liveaboard. There is a very detailed and comprehensive overview of all the national parks in the Andaman Sea on this operator’s website. On the east side there are the areas of Pattaya and Ko Chang, both offering year round diving, though March to September is best. Pattaya has been famous as a ‘seaside resort’ since the 1970’s. Only 2 hours from Bangkok it boasts the most inexpensive and accessible diving in Thailand. There are some near, and some offshore islands, which typically have better visibility. There are also wrecks in the area. 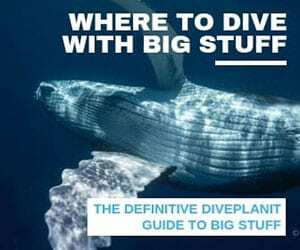 With numerous diver operators, it’s a great cheap place to learn to dive. 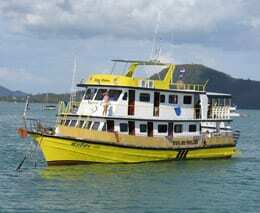 Ko Chang is 5 hours by Bangkok by road, or a 1 hour flight, but probably worth it for more experienced divers. There are a number of dive shops, each with their own favourite spots typically on the rocks and pinnacles south of Ko Chang. This area is not particular deep, and there is good snorkelling too. On the west side, are the group of major islands: Ko Samui, Ko Pha-ngan and Ko Tao, and another group of smaller islands much closer to shore at Chumphon. This area offers diving from January to October. The three islands of Ko Samui, Ko Pha-ngan and Ko Toa have almost a hundred dive operators, and dive sites suited to every level of experience. 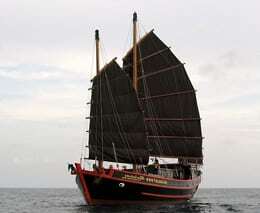 Experienced divers should head out to Ko Tao and include Sail Rock and Chumphon Pinnacle on their itinerary. 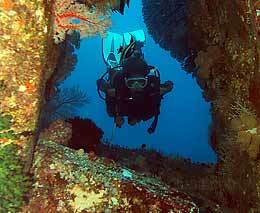 Chumphon is the least developed dive area in the Gulf. It’s halfway between Bangkok and Phuket, and well worth the stop over if you are driving. 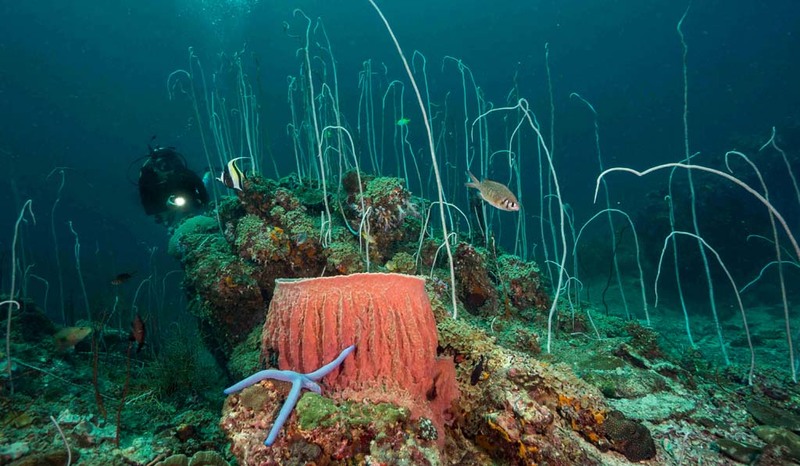 The dive sites are varied and scattered around the rocky outcrops and islets. The local dive shops know the best places to go according to which way the breeze is blowing. Depths (and vis) typically vary between 5 and 20 m.
Though actually in Myanmar (formerly Burma), the diving in the Mergui Archipelago takes places from liveaboards that operate out of Thailand. The islands are characterised by limestone and granite, and have extensive coral reefs around them. Their isolation has enabled the islands and surrounding waters to retain a great diversity of flora and fauna, including endangered megafauna such as whale sharks and dugongs. 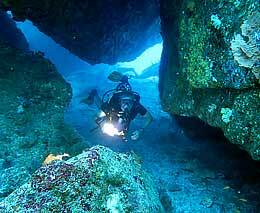 Hin – rock, e.g., Hin Muang – Red Rock – a well known dive site. Australian (UK, Canadian, and European) tourists travelling to Thailand through one of the international airports on valid passports may currently enter Thailand for up to 30 days without obtaining a visa in advance. This is referred to as a “visa exemption”. Thai authorities require all travellers to have at least six months’ validity remaining on their passports. Customs permit visitors to bring in the usual litre of wine or spirits and 200 cigarettes. The currency of Thailand is the Thai Baht. Baht come in both coin and banknote form. The size of Thai currency, both coins and bills increases with value and varies in colour. Thai bank hours are generally Monday through Friday, 9:30 am to 3:30 pm, though currency exchange booths are open considerably longer hours in Bangkok and other tourist destinations, and offer much better rates than hotels or department stores. Credit cards are widely accepted, and also give a good rate, but often the merchant will charge an additional 2 or 3% and your bank will take a fee too. Tipping is not customary or mandatory in Thailand. In most establishments, a service charge of 10% is already added to the bill. Thai monarchy : In Thai culture, people have a deep, traditional reverence for the royal family, and visitors should be careful to show respect for the King, the Queen and the royal family, as well as any image of royal family members. It is unacceptable to speak ill of the royal family and it is required by both the standards of Thai culture as well as Thai law to stand in honour of the King prior to movie screenings and other public events. The official religion of Thailand is Buddhism, which is practiced by 95% of Thais. Though Thais are very tolerant of other religions, they are particular passionate about Buddhism, and this extends to images of Buddha. Show respect when visiting temples which may include a dress code, removing footwear, not filming in certain areas, and not touching. Dressing casually is the norm in Thailand, though when you look around, you will see that most Thais appear well-dressed. This is because, to a Thai, dressing well means you are taking them seriously and they will be more willing to help you. Here’s an amusing read on what to wear in different places. Keep your beach attire for the beach; and remember, if you are going to visit a sacred Wat or temple, you may need to wear clothing that covers your legs and arms. The Thai phone system is both modern, with comprehensive mobile coverage, and reliable pay phones found throughout the Kingdom. It is very easy to purchase a mobile SIM and plan on arrival, and you can top this up at any 7-Eleven convenience store. Alternately, you can rely on Wi-Fi which is free in many establishments where you are a paying guest. Thailand Standard time is GMT +7. Thailand does not observe daylight saving. Electrical outlets in Thailand are charged to 220V at 50Hz, which is compatible with appliances from Europe and most of Asia. The power outlets generally support plugs with two round prongs i.e., the European style. Located just 15 degrees north of the equator, Thailand has a tropical climate and temperatures typically range from 19 to 38°C (66-100 F). The weather in Thailand is generally hot and humid: typical of its location within the tropics. Generally speaking, Thailand has three seasons for its non-coastal inland, and two seasons for the coastal south. In the Andaman Sea, there are two distinct seasons: the dry season from November to April, and the southwest monsoon season, from May to October, when many of the offshore marine parks are closed for the safety of visitors. Drinking Water. While a lot of resorts have rainwater tanks, it is not recommended for drinking. It’s safe to brush your teeth with and you will in most cases be provided with bottled drinking water. Some resorts and liveaboards provide refills so you can reuse your bottle. Observe all normal precautions in regards to personal safety, as well as the safety of your belongings. Be sure that all your valuables, money, jewellery, and airline tickets are securely stashed away – you’ll likely find a safe in your hotel room. Do not support any manner of animal abuse. Never purchase any products or souvenirs made from wild animals including snake or monitor lizard skin, turtle shells, or ivory. Avoid having your photo taken with captive animals such as monkeys or gibbons. These animals are captured as babies, usually by killing the mother, only to be abandoned when they reach adolescence and become, unsurprisingly, aggressive. Some useful websites to read up on Thailand before you go. Flights to Thailand are provided by approximately 70 airlines, most of them fly to Bangkok (BKK). However, internal connections to Phuket (HKT) are both frequent and relatively streamlined within Bangkok airport. Flying to Bangkok from Australia, your main options are: Thai Airways, Qantas and Virgin (who codeshare with Singapore airlines), or Air Asia via Kuala Lumpur. If you are only going to the Phuket area, there are a few direct flights to Phuket from places like Helsinki, Novosibirsk and Qatar, and more usefully KL (KUL) and Singapore (SIN) – both of which are south of Phuket. In terms of direct flights from Australia, Jetstar fly directly to Phuket from Sydney (SYD) and Melbourne (MEL), but not every day, and Virgin fly from Perth (PER) directly, but not every day.